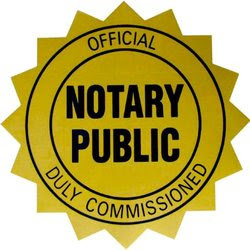 In the U.S. state of Florida, a notary public in Miami is a public officer appointed by the governor of the state to take acknowledgments, administer oaths, attest to photocopies of certain documents, solemnize marriage, protest the non-acceptance or non-payment of negotiable instruments and perform other duties specified by law. A notary may only perform a notarial act upon receipt of satisfactory proof of identity (i.e. a driver’s license or other form of identification card), or by the notary’s own personal knowledge of the person appearing before them, or upon the sworn statement of two witnesses who personally know the person whose signature is to be authenticated. A notary may not notarize their own signature, or the signature of their spouse, parent, or child. Acknowledgments are usually taken in correlation with a real estate transaction but are often used in cases where a mere “identity verification” is needed to ensure that the document is being executed by an authorized party. Oaths are administered orally in depositions and court hearings in which a party is being sworn in over the telephone instead of being personally present before a judge. In this respect, notaries administer oaths in the same way as a judge. Many court reporters are also notaries, as this allows one person to both swear the party in for a deposition and to transcribe the deposition. Oaths are also administered in the form of affidavits and other sworn statements on paper. Marriages may be legally solemnized by a notary public between parties who present the notary with a valid marriage license. The law has no requirements for the form of a marriage ceremony, therefore many notaries perform both civil and religious marriage ceremonies. The contents of a safe-deposit box are certified by a notary public in cases where the owner has died or otherwise abandoned the safe-deposit box. In this case, the notary must be present while a bank official and other witness open the box. The notary then certifies the contents of the box and makes a certificate thereof for presentation to the court or to the personal representative of the Decedent’s estate. Notaries are authorized by Florida law to verify the Vehicle Identification Number of a motor vehicle and certify this fact to the Department of Highway Safety and Motor Vehicles when that vehicle has not previously been registered with the state. Notaries have the authority to make certified photocopies in cases where certified copies of a document cannot be obtained from another public official. Therefore, notaries cannot certify birth certificates, copies of court judgments, or public records maintained in government offices. They can, however, certify copies of passports, driver licenses, and any other document which is not eligible for public recordation. Any individual at least 18 years of age who is a resident of Florida may apply for and obtain commission as a notary public, provided that they have obtained a $7,500.00 public bond from an insurance company, and taken a notary education course administered by an authorized course provider. 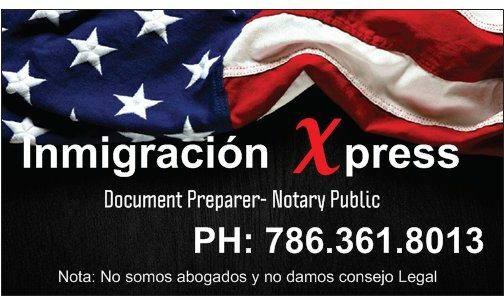 Such commission is usually obtained by legal secretaries, paralegals, and attorneys for use in their place of work, where the notarization of client signatures is a requirement on many court pleadings and other documents. However, occupation in the legal profession is not a prerequisite to becoming a notary public, and a person of any profession may apply for and obtain a commission. Many banks also have notaries on staff to notarize the signatures of their customers.